Your heart is racing. Palms are sweaty. Actually, your heart is pounding so fast you think you might be having a heart attack, but your chest isn’t really hurting. You remember feeling this way before — like when you were a kid and rode the roller coaster for the first time. Even your breathing is affected. Only this is no roller coaster, it’s not anything remotely like fun, and it’s come from seemingly out of the blue. You can’t snap out of it and it feels like you may pass out if it doesn’t end pretty soon — and there doesn’t seem to be any stopping of this horrible feeling. When these things started, you thought you were gonna die, but you didn’t. You live to experience this feeling over and over…. It could be that everyone has experienced a panic attack at some time in their life. As part of the body’s instinctual fight or flight defense, this adrenaline-charged response was designed to help we mammals have the extra ‘push’ needed to escape a harrowing situation. In the case of panic attacks, that natural response is out of whack and crops up sometimes without any provocation at all! Those who suffer these attacks several times per week are said to have panic attack disorder. If your loved one is in early recovery, having panic attacks may be common but temporary. As the body does without the anesthetic effect of the substance of abuse, normal anxiety may be exaggerated. The brain is no longer tranquilized artificially, but the body’s not making enough of it’s own natural tranquilizing chemicals yet to offset the effect. These chemicals usually normalize within the first year of recovery, but occasionally they don’t, so the attacks continue. It’s then time to seek outside help. But as with anything people don’t necessarily understand, convincing your loved one to take that step may prove difficult to impossible that they have a mental health problem. He may fear being labeled as ‘crazy.’ He may feel he is ‘cheating’ in his recovery if he sees a physician and is prescribed something. And he should be wary of taking any type of barbiturates or other drugs that may set off the craving phenomenon — one of the reasons one should always be vigilant in telling health care professionals he is in recovery. His physician may then know which types of treatment to avoid to avert the possibility of relapse. But you’d have to get your loved one past the avoidance hurdle to even address the problem at all. According to the journal of Comprehensive Psychiatry, people who shy away from conflict and suppress their own wishes to keep the peace may be especially vulnerable to this disorder. That is where a panic disorder intervention, or using the help of a family recovery coach may come into play as the solution. One in 75 people suffer panic attacks. They can be precipitated by major life changes such as the death of a loved one, divorce or job change, but they may also co-occur with other mental health conditions. As is the case for substance abuse, there is a continuum for this disorder, from mild to severe. If the symptoms merit taking action, but your loved one still suffers, there are a few things to try before calling in the big guns. Avoiding caffeine, practicing meditation and relaxation techniques, and identifying the anxiety triggers may help. Overall, eating healthier, avoiding too much sugar, getting exercise and enough sleep are good practice and may also provide some relief. Changing one’s thinking about the panic attacks is another helpful approach, but for some, none of these approaches are enough to stop the process. It is at this juncture that the family, as well as the sufferer, needs to find outside help. Even physicians may tend to dismiss these attacks as nothing, so educating oneself about the disorder is a logical first step. A trained interventionist or family coach would start the education process with the family first, so they know and understand what their loved one is going through. They may be taught to identify unhealthy thinking styles and explore how automatic the increased sensory perception triggers intense anxiety, which, in turn, may feed on itself in creating panic. Family and sufferer both may learn calming techniques, and also learn when a diagnosis by a clinician is warranted. Exposure therapy, cognitive behavior therapy and in some cases medication may be the only recourse. So learning about the disorder, knowing how to approach your loved one, then steering him towards the appropriate solution may be accomplished with the help of a family recovery coach. However, as in the case of someone who has dual disorders, denial, or an absolute resistance to finding outside help, a professional panic disorder intervention may be the only solution. 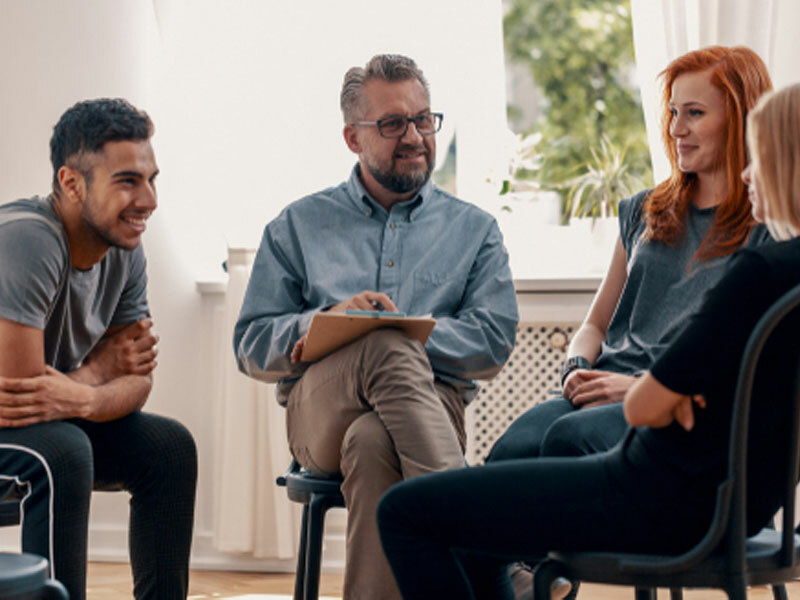 An interventionist may help you lay out a bottom line to your loved one, since his disorder not only affects him, but the loved ones around him as well. You may learn what enabling is and how to stop it. You may learn how to respond to his resistance and keep your sanity at the same time. An interventionist can steer you to the appropriate facility for your loved one’s specific problems — especially if he has several co-occurring disorders. A professional interventionist has access to hundreds of treatment facilities you may not even know exist, ensuring that the proper treatment is tailored specifically to your loved one. Once the proper solution is agreed upon, your loved one will be confronted and will learn how his affliction affects those around him. If he agrees to treatment, he would be immediately escorted to a pre-chosen facility. Since mental health interventions must be treated with delicacy to avoid further distressing the sufferer, these types of interventions should absolutely be facilitated by a professional. Getting help is the object, and especially for those with substance abuse in their history, the approach should be guided with the right amount of love and concern tempered with an unwavering bottom line to be affective. Many with mental health disorders do become substance abusers as they attempt to alleviate their symptoms. And if your loved one is already in recovery for addiction, it is only a professional who knows how to address both issues, ensuring that one treatment doesn’t exacerbate the other. If you or a loved one suffers from this debilitating disorder, there is help to be found. Contact one of our professionals to see how we can help your family find the answers you need to help those you love for a panic disorder intervention.